Ahhh, sunny Subnautica, where the equatorial ice shi- wait, what? Equatorial region… iced? 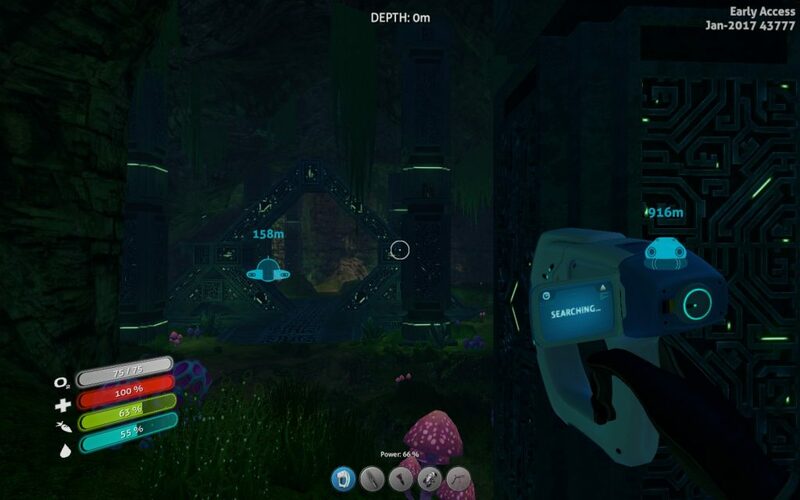 Yes, folks, welcome to Subnautica: Below Zero, sequel to Subnautica where it appears either the world is stranger than first appears, or the crash of the Aurora was a major boo-boo that affected the climate drastically. It’s still a beautiful world, but now… It’s a beautiful, cold world, eyeball penguins and everything. And, like me, the player avatar is very excited to be there, being a xenolinguist who finally has a job. Unfortunately for her, the Alterra Corporation is still a dystopian futurist hellscape, the alien artefact shenanigans are due for a repeat, but, like me, Robin Goodall loves the heck out of the world of Subnautica, even in the deepest of Arctic winters. Even when it really seems like she’s going to have a terrible time. 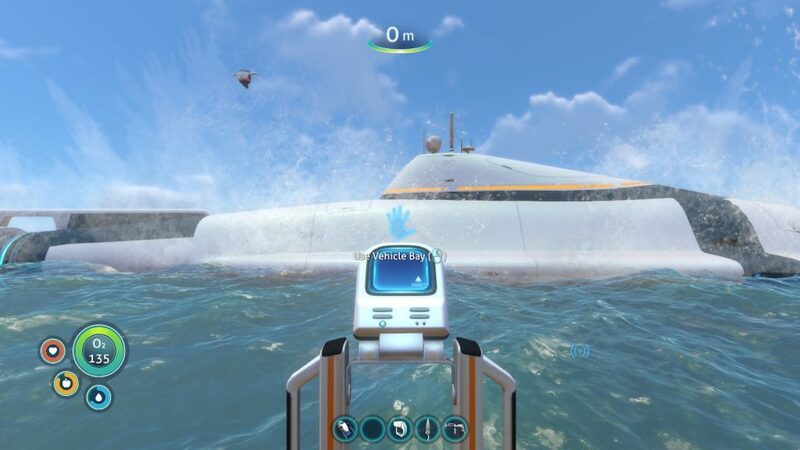 Right, quick refresher: Subnautica was a first-person survival adventure set on an oceanic world, where things started a little annoying (Grab X Lea- where the heck do I get lead? Oh, near the HELLBEAST. Great), but was able to shift its focus very quickly toward a more exploration based playstyle, with a moderately strong narrative about the sole survivor of a star cruiser being shot down, and their encounters with the lost technology (some of it very self-destructive) left behind by a now seemingly extinct alien species. There was a lot of swimming, submarining, and, while your goal was to leave the planet, many, myself included, felt the world was too pretty to really leave. Below Zero is, effectively, more of the same. Since the MYSTERY starts earlier, I can post the obligatory MYSTERY screenshot now, yay! There isn’t a whole lot of story in the game as of yet, but what Below Zero currently has going for it is that the main conflicts are established within the first couple of hours: An unfriendly remnant of the alien race that (indirectly) caused all the trouble in the previous game, the Alterra corporation (Who would want to exploit the alien tech that… Caused all the trouble in the previous game), and, of course, the world being colder, and somewhat different to the world we knew. Oh, still mostly oceanic, still beautiful as hell… But, for example, gigantic mantis shrimp are now a problem you didn’t have before, and the bubbling filter plants of the previous game have given way to other filter plants, that give a burst of oxygen, then deflate for a while. Cold hasn’t yet been implemented, but if the heating pads or strange, radiator like eyeball flowers (Which burn you if you stand too close to them) are any indication, it probably will be. Subnautica’s world remains beautiful, and feels alive as heck. Example: This little Pengling is catching fish. Like a Penguin would. D’AWWWWW! And there’s two parts to why I’m fine with this. 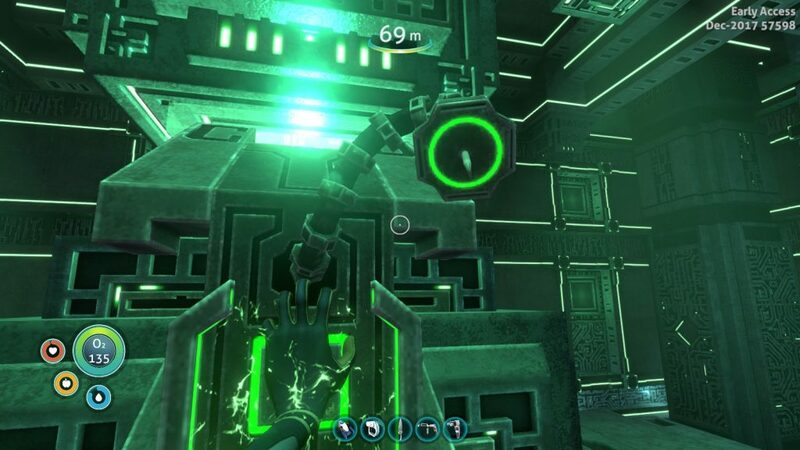 In Subnautica, Unknown Worlds proved their mettle in making demand meters that add some challenge, without overriding their core exploration and narrative focus, and they appear to be bringing those same lessons to Below Zero. Good. Secondly, Robin Goodall is a bubbly, lightly snarky character who refuses to let her situation (Boring, then very suddenly rather dangerous) get her down. Just like me, she loves the world, and wants to explore it, wanting to know what’s going on, and demonstrating a fairly strong moral compass early on. 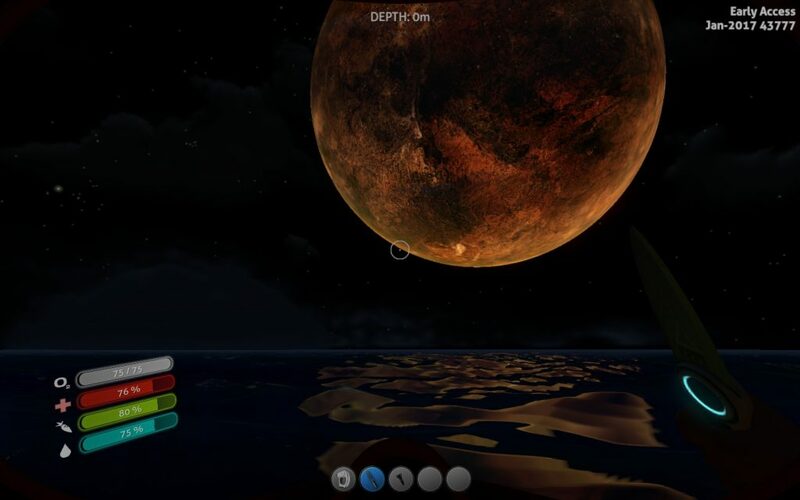 It is, as before with Subnautica, a relatively promising start. The Mad Welshman, never having left Subnautica in the previous installment, is presumably to be found somewhere out here. Either as a popsicle, or drinking coffee and smiling at penglings playing from his vast underwater base. 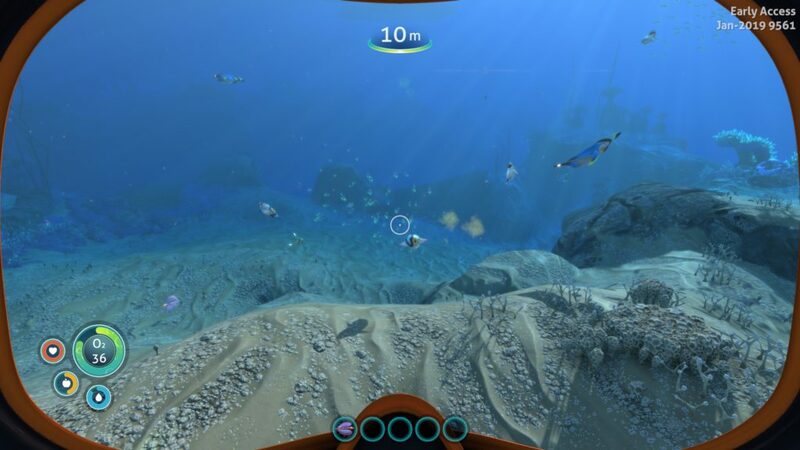 Well, Subnautica is out. And oh boy, there’s a lot to take in there. The possibility of escape from this watery world awaits, to those brave enough to… Er… Brave the horrors. Although, as I’ve said previously, I’m not entirely sure I want to leave, considering how damn cool the world is. Why are floaters doing this? Because. That’s the kind of answer you get when the lone survivor is not a marine exobiologist. Enigmatic caves, mushroom forests, islands held aloft by gigantic floating creatures bonded to the rock… This is before the plot of the game properly kicks in, that, thankfully, you can mostly do at your own pace. The Aurora is shot out of the stars by… Something, and you, seemingly the only survivor, must not only find a way off this rock, but also solve an ancient mystery. A mystery that gets quite personal, as you are rapidly infected by… Something. I’ve gone through a lot of emotions playing Subnautica. Consternation as I hunt for Lithium and Magnetite. Amusement, both the gentle kind when I’m cheered on by random space truckers, and the black kind, when I discover how some survivors… Were real candidates for the old Darwin Awards. Bed wetting terror, the first time I met the Reaper Leviathan. Mostly, though, I’ve been pretty relaxed, because the world is a beautiful one, with a thriving ecosystem that, as a lone human, I can’t really despoil. Mmmm, that feels good. …Not that I haven’t tried my damnedest. Even built a scanner room or three to try harder. So, after three Early Access reviews (Each a good indicator of how far things have come), is there much left to say? A little. 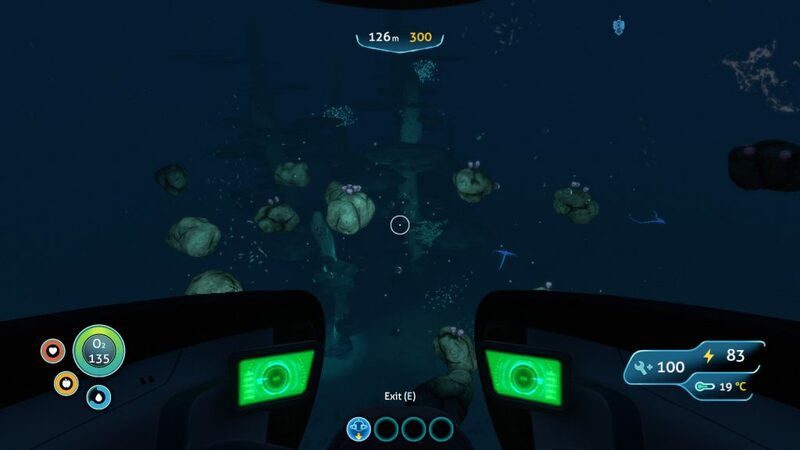 After all, it was only in the most recent updates that things like the Prawn Exosuit let me clomp around the sea bed, and building the Cyclops, the submarine that’s been almost emblematic of the game, seemed a pipedream up until fairly recently. 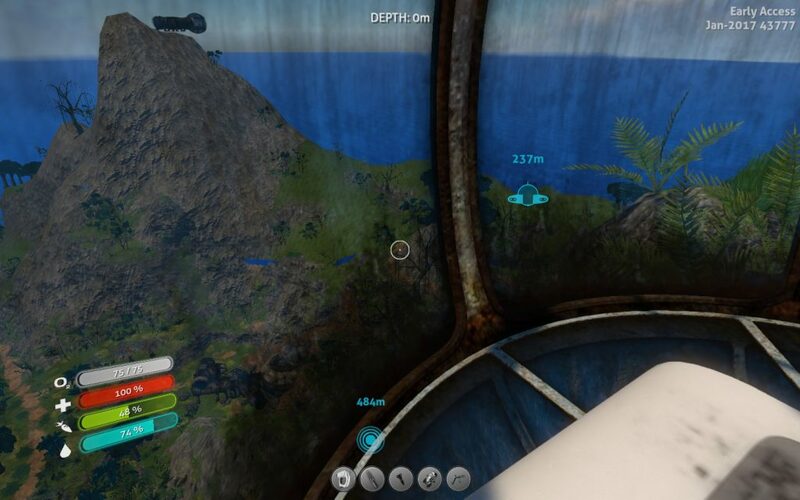 But that’s the thing with Subnautica: It brings you in with friendly, accessible survival gameplay in the kinds of biomes you haven’t really seen anywhere else, then gives you more to hope for, more to achieve, more to explore, and in the end… Gives you a chance to escape from even that. Sorry, but even if I had gotten that far, I probably wouldn’t take the option. Subnautica’s world… Is just too damn pretty to leave, and I have so much more to do. Join me. It’s a wonderful experience. You… You are my new best friend. And I shall call you… John Bigboté! The Mad Welshman is going for a swim. He’s also bringing two tonnes of TNT, because god-damn, that Reaper NEEDS TO DIE. 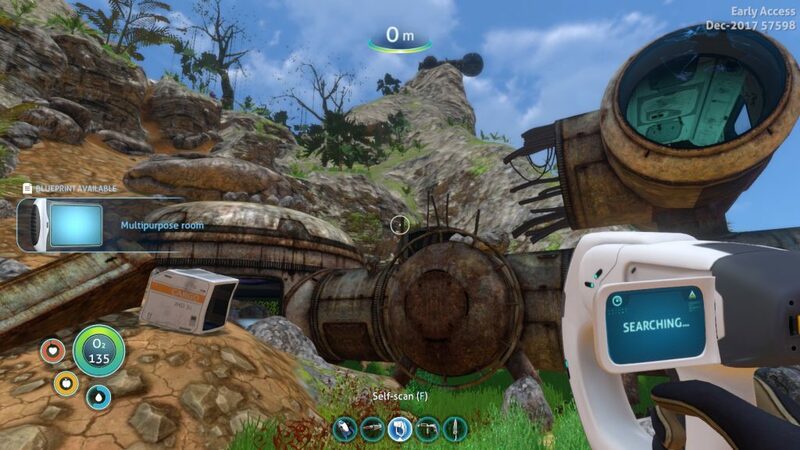 Subnautica, it seems, has come a long way. From just puttering around, building what the heck you want, to an involved story of survivors distinctly unprepared for the unlikely circumstances they found themselves in, trapped on a watery world with a deadly mystery, and, more specifically, of you, the sole definitely surviving survivor. Oh, it’s come a long way indeed, and, at the present time? Things are largely in the cleanup phase, with prettifications and bug fixes abound in the “Eye Candy” update. But it’s been a few updates since I last covered the game, so let’s get into the meat of it. Last time, I asked if you really want to leave this un-named blue planet, with its intriguing mysteries, fascinating, and sometimes deadly life forms, extinct aliens, and, of course, your crashed starship, which is likely going to kill large swathes of that aforementioned life if you don’t fix the reactor anytime soon. Now? Well, very early on, you get some signs that… Perhaps not all is well. I don’t particularly want to spoil things for you, because this game comes highly recommended in the survival genre for an interesting, balanced, and well realised watery world (Itself uncommon), but… Leaving is definitely not an option until you clean up, both after yourself and the ancient, possibly extinct aliens that didn’t exactly do great things themselves. …If you want a survival game with an underwater twist, that’s not terribly twitchy, has an intriguing world, some beautiful sights to see and treats for your ears… Subnautica remains a good pick. I look forward to finishing up the story, and, honestly? I’ll be a little sad when I leave this blue planet. It’s been so good to me, apart from the Reaper Leviathan. Actually, can I elect to shoot the Reaper into space and live here? That would be just dreamy. Aaah. Perhaps unsurprisingly, crashing from high orbit hasn’t done the Aurora any favours. 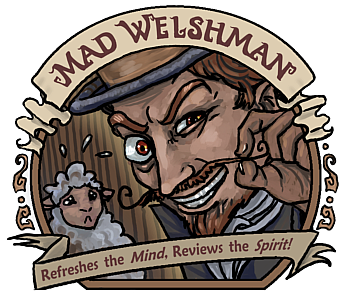 The Mad Welshman would like to note that Subnautica comes out of Early Access next month. So we’ll be back to this watery world very soon. Very soon. 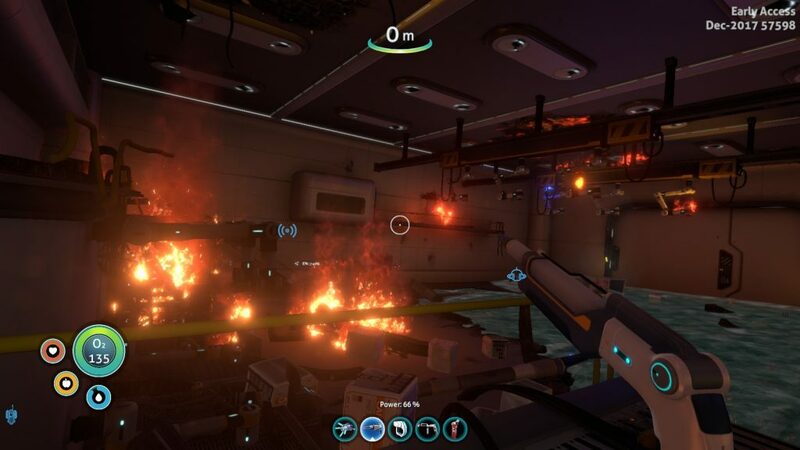 Subnautica is life’s way of saying “It’s okay that Endless Ocean doesn’t have a PC port.” Even down to the occasional punctuation of chill undersea times with pants wetting terror. How… How long was I out? 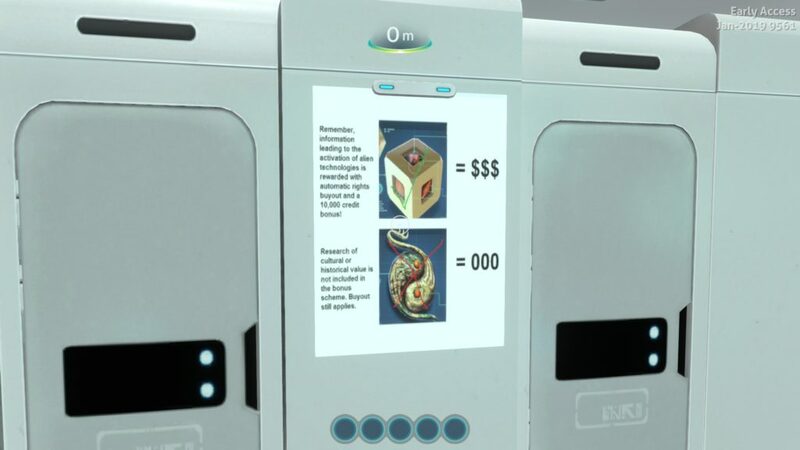 So, it is the far future. Utopia has been achieved, and nice, not animal-killing humans have spread to the stars, exploring and spreading the word of peace and love. Except where you happen to be, because your ship got exploded in orbit around a watery world, and to survive, you will have to… shudder… Eat fish. Also survive, explore the world, and perhaps find out what happened, both to the Aurora and your fellow crewmates who at least managed to escape the ship. The first thing you’ll notice, once you begin the game, is how beautiful this alien world is. 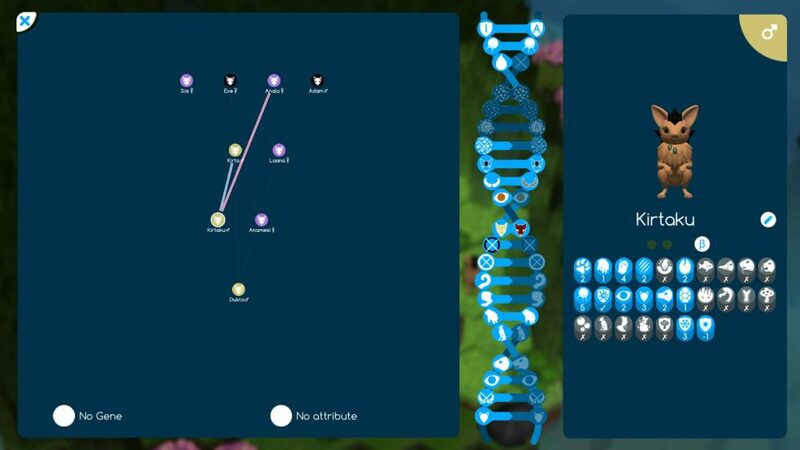 Schools of fish swim, with many different kinds, plant life abounds, and even the moon is lovingly rendered. It’s also a relaxing experience, swimming, collecting resources, and slowly, but surely, learning more of the world around you. The Reaper Leviathan, as seen from a *relatively* safe distance. Loss count on the current save to this … Thing? 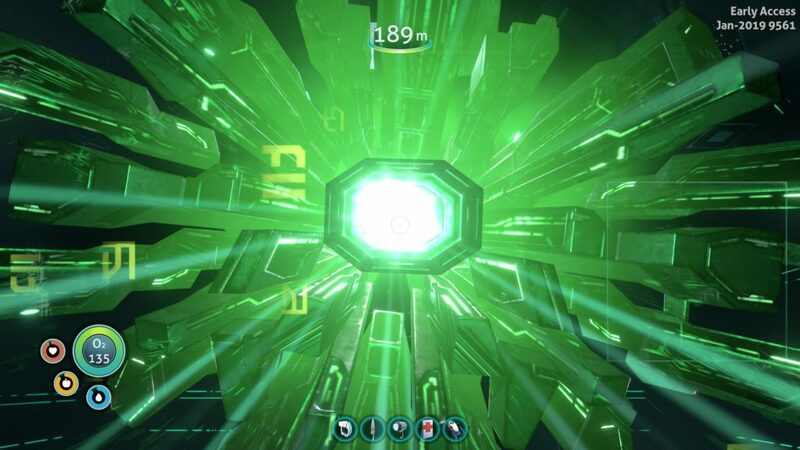 3 deaths and a SeaMoth. I won’t pretend, however, that this isn’t annoying at times. 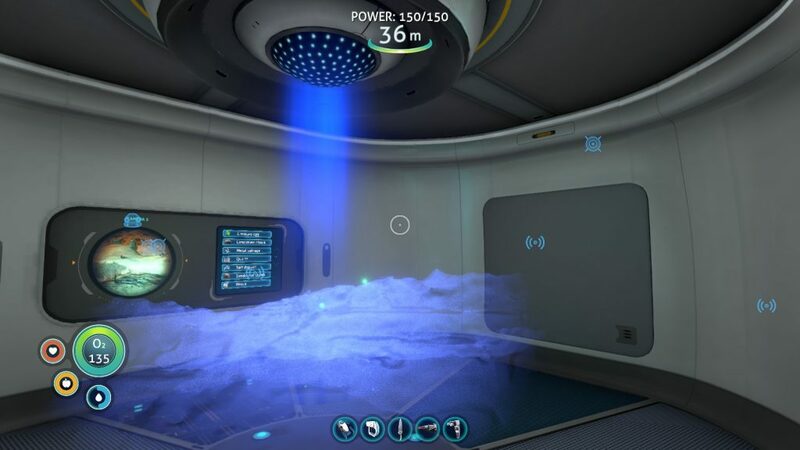 In my current save, for example, one of the most dangerous creatures of the ocean, the Reaper Leviathan, is plonked right next to one of the richer seams of materials and blueprints, the crashed ship Aurora, and every visit so far has resulted in either death, or the very expensive loss of a minisub (the SeaMoth), and then death. But, fair traveller, this is a temporary phase, and there are other places, other ways to gain the materials you need to improve, and make this world a little safer. 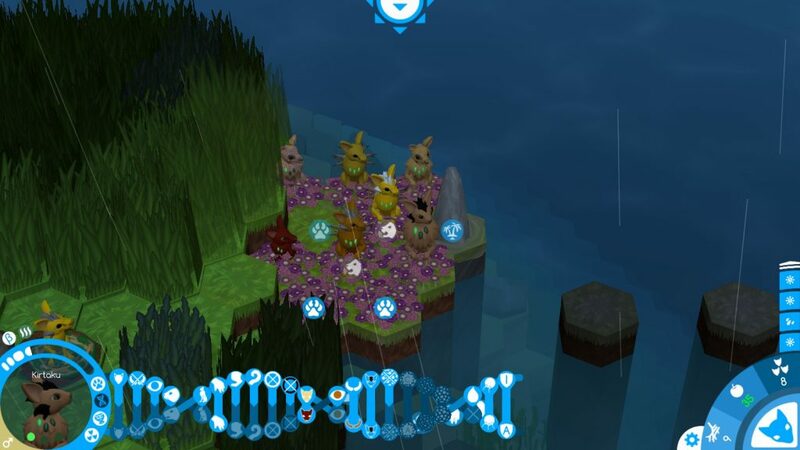 You can build bases, waypoints in the deep, and travel between them. You can grow fish, or farm plants, once you find the means to do so. You can create current generators, devices that can very forcefully push the more dangerous fish away from your home of choice. And when you spread your wings, able to explore in relative safety? Crystalline forests. A strange island, seemingly the only landmass in sight. Mushroom trees, stretching almost to the surface. Swimming among the reefbacks. 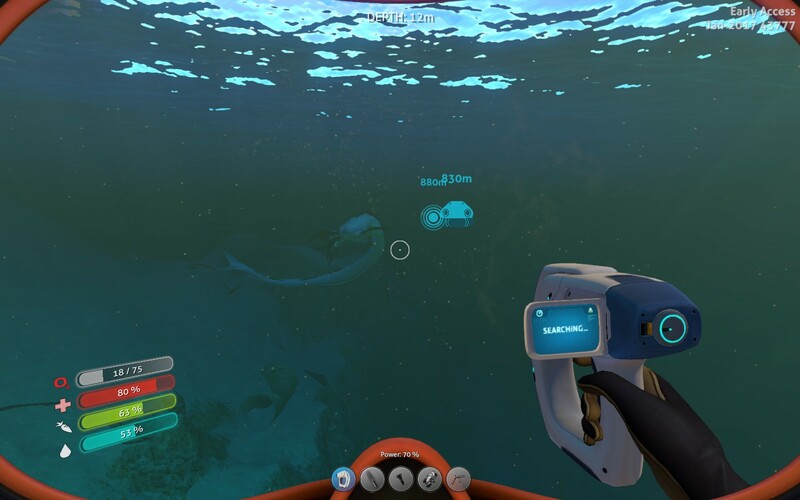 It’s not often I say a sandbox survival game is a beautiful, calming experience, but once you get over a few resource humps, that’s exactly what Subnautica becomes. And always, always, the mystery of the planet… Awaits. For in one of the most recent updates, the planet now has plot… And mysteeeerious ruins! Mystery! Excitement! Danger! 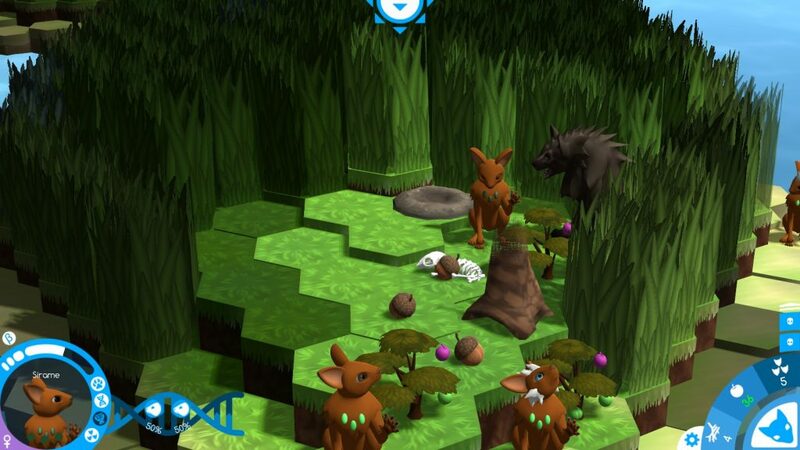 All of these can be found… In a videogame! Yes, somebody has heard the Aurora’s SOS, but at the same time… Do you really want to leave, considering there are alien ruins, and teleportation technology, maybe other useful things, and maybe, just maybe, the off switch for whatever the heck blew up the Aurora? I certainly wouldn’t. For £15, the game is highly reasonable, and is only becoming more reasonable as time goes on. Check it out if you like mysteries, living under the sea, and exploration. The Mad Welshman grinned as he looked at the alien ruins. Triangles… Why was it always triangles with these aliens?